My research into the music of 1914 has turned up a lot of interesting figures. But I find none more compelling than Henry Burr. I found biographical information and partial discographies on a lot of websites. A full discography of Burr’s output would be almost impossible to compile. His career spanned over thirty years and by his own estimate he made over 12,000 recordings in this time (under a variety of pseudonyms). What grabbed me most was the music itself. Though we’re separated by a hundred years and music has undergone profound stylistic changes, I find many of his song choices to be truly timeless, songs I’m compelled to play and sing and work out for myself. I referred to him in a previous post as the Elvis of his day and, like Elvis, the songs he sang were written by others. Burr even sang ‘Are You Lonesome Tonight?’ in 1927. He was one of many artists to record the song that year but this was not at all unusual for the time. Most new popular songs were covered by several artists. Born Harry Haley McClaskey in St. Stephen, New Brunswick, Canada in the 1880s, he had been singing in public since the age of five. His first notable concert was in St. John’s Opera House in April 1901 with Scottish soprano Jessie McLachlan. Later that year, again in St. John’s Opera House, his talent was noticed by Metropolitan Opera baritone Giuseppe Campanari, who insisted he go to New York for musical training. McClaskey moved to New York in 1902 and began taking lessons and singing with the Grace Methodist Episcopal Church choir. One of his teachers was Kate Stella Burr, in whose honour he adopted his most famous pseudonym. 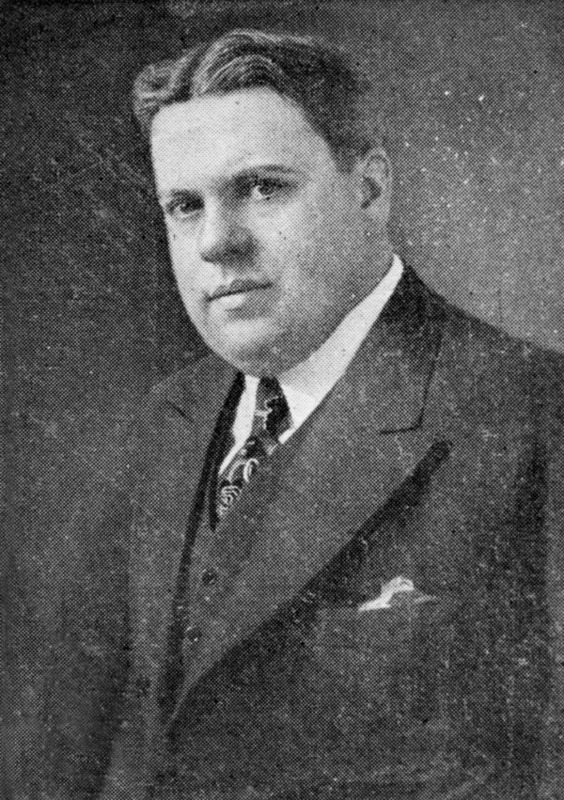 His recording career began (as Henry Burr) in New York in 1902 with Columbia Records. In 1904 he began recording with Edison Records as Irving Gillette. In 1905 he also recorded with Victor Records, again as Henry Burr and later as Harry McClaskey (his real name). He also released music under the names Henry Gillette, Alfred Alexander, Robert Rice, Carl Ely, Harry Barr, Frank Knapp, Al King, and Shamus McClaskey. These different names seem to have initially been used for releases from different recording companies, though I can find no consistent pattern in their usage throughout his career. Perhaps the purpose of his many pseudonyms was to frustrate future researchers and retain an air of historical mystique. Figures of this era are often wrapped in mystery. For example, one source claims he was born in 1882. Another says 1885, making him still a teenager when he embarked on his recording career. Whatever the year, all sources seem to agree on his birthday. It’s January 15. He would have been 132 (or 129) today. How’d You Like to Keep a Date With Me? Burr’s long and distinguished career included many collaborations. Vocal duets were common at the time and Burr sang with the most famous and celebrated female singers of the age, Ada Jones, Helen Clark, Elise Stevenson, Elizabeth Spencer, Elsie Baker, Marcia Freer and others. Male vocal duets were also common and Burr shared billing with Frank C. Stanley, Will Oakland, Joseph Belmont, Frank Croxton and others. Burr recorded many songs with Albert Campbell, who was also a collaborator in the vocal groups Peerless Quartet and Sterling Trio. These names are all searchable on National Jukebox, whose songs I’m unfortunately finding impossible to embed in WordPress. Not to worry, Henry Burr’s Herculean musical output has left in its wake some wonderful recordings in many other sources online. Burr’s later career was spent as Director of the Artist’s Bureau at CBS radio, and from 1935 he continued to perform as a regular on the WLS Chicago National Barn Dance which was broadcast on NBC on Saturday evenings. He remained a featured performer on the show until shortly before his death in 1941 from throat cancer. It was stumbling across a Henry Burr song in the archives that initially gave me the idea for this blog. Figuring out the music and singing it in my own voice convinced me that there are music archives full of gems waiting to be rediscovered by modern musicians. Now that I’m in a bit deeper and have been poring over these resources for months, I’m more convinced than ever. Unfortunately I haven’t recorded my own versions of the Henry Burr songs yet, you’ll have to wait a few months for them. Perhaps after recording an album of songs from 1914, I’ll attempt an entire album of Henry Burr covers. With over 12,000 recordings to his name (or rather, his many names), being short on material wouldn’t be a concern. And though what I’ve listened to so far could be considered a drop in the ocean, Henry Burr hasn’t disappointed. The songs he chooses to sing are inventive and interesting, his performances brimming with emotion, his voice smooth and warm and clear, cutting through the static of the last century. Happy birthday, old man.